Relax in the heart of downtown Fort Lauderdale, where world-class restaurants, hopping nightclubs and enchanting courtyards frame the city’s only hotel on the trendy Las Olas Boulevard – the Riverside Hotel. The hotel is minutes from the sandy white beaches of Fort Lauderdale, The Fort Lauderdale-Hollywood International airport and Fort Lauderdale's cruise port, Port Everglades. 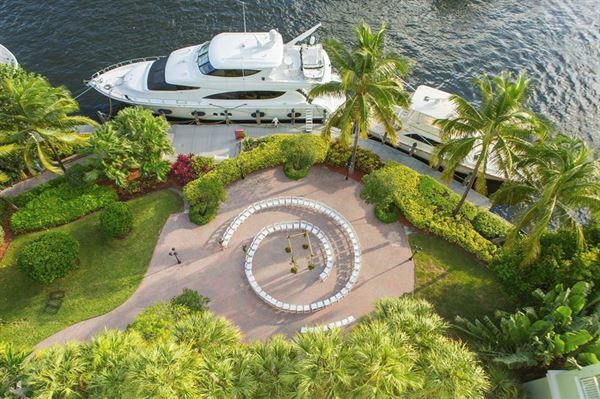 Discover how a touch of classic Florida charm can enhance your next event. Select from a variety of venues spread across 11,000 square feet of versatile meeting space.? Host an event in our Himmarshee Ballroom or New River Ballroom, which both offer 2,800 square feet of space, and utilize the state of the art audio-visual technology to make your event come alive. Banquet space is included with purchase of food and beverage. Minimum purchase requirements apply. Room rental fees may apply to small groups. Deposit required - final payment due one week prior to event. Includes four hours of specialty cocktails, assorted soft drinks and iced tea, custom designed buttercream wedding cake, ivory or white linen and assorted color napkins, gold chiavari chairs and valet parking. Includes a 5 hour open bar, custom designed buttercream wedding cake, champagne toast, gourmet coffee and tea service, ivory or white linen and assorted color napkins, gold chiavari chairs, valet parking and a tower guestroom.